As winters arrive later and snow melts earlier, the worldwide decrease in snow cover already may have dramatic impacts on animals that change coat colors with the seasons. An international scientific team led by University of Montana Professor L. Scott Mills has set out to discover whether adaptive evolution can rescue these animals in the face of rapidly changing climate. Twenty-one species of mammals and birds rely on the ability to change their coat color from brown in summer to white in winter to avoid fatal encounters with predators, but in some parts of their range individuals forgo the white molt and remain brown in winter. "Weasels in the southern U.S. and mountain hares in Ireland, for example, have evolved to remain brown year-round," Mills said. 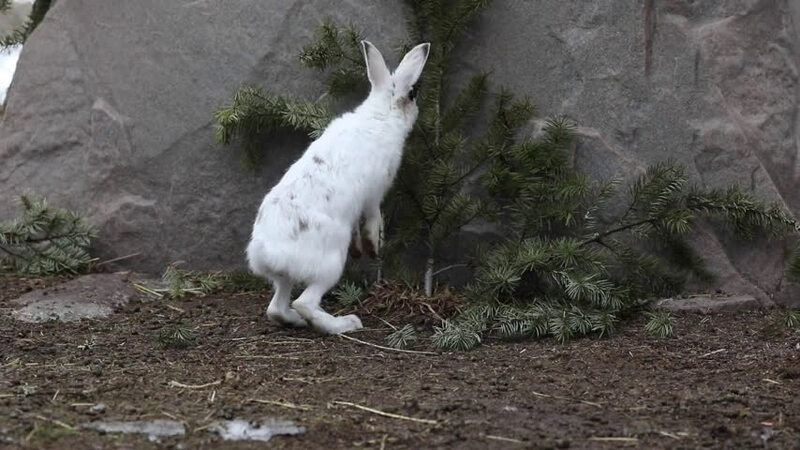 "This is a genetic adaptation to retain camouflage in areas where snow is intermittent or sparse." 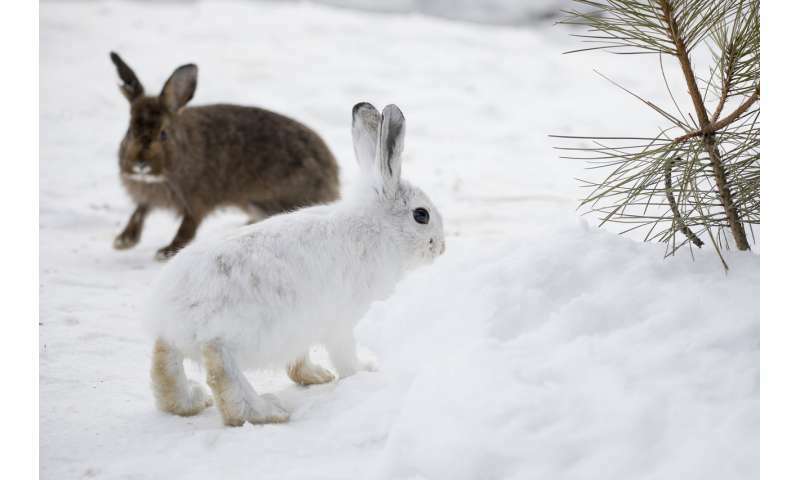 Mills' group previously found that winter white snowshoe hares confronting snowless ground have higher mortality rates that could drive massive population declines as snow duration continues to decrease. 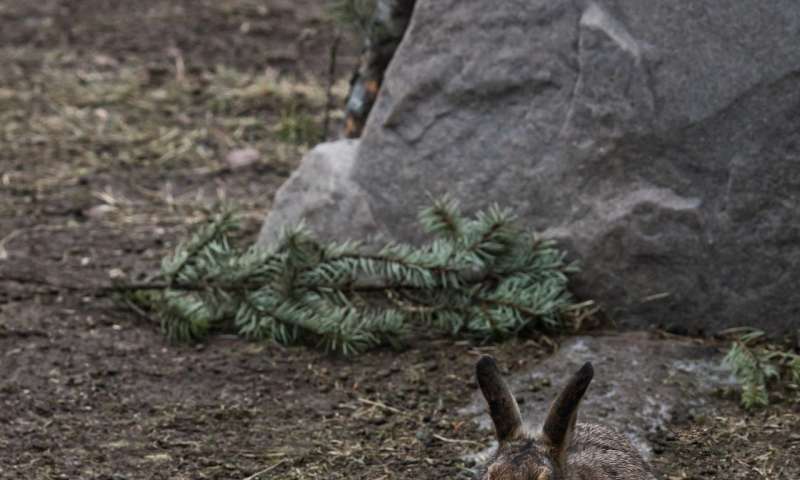 Other scientists have pointed to coat-color mismatch against snowless ground as a cause for recent range decreases of hares, ptarmigan and other species. In a new article in Science, Mills' team identified areas that could foster rapid "evolutionary rescue" of these species particularly vulnerable to climate change. The study describes how the international team mapped "polymorphic zones" for eight color-changing species, including hares, weasels and the Arctic fox. In these zones, both brown and white individuals coexist in winter. "These areas hold the special sauce for rapid evolutionary rescue," Mills said. "Because they contain winter-brown individuals better adapted to shorter winters, these polymorphic populations are primed to promote rapid evolution toward being winter brown instead of white as climate changes." The authors emphasize that these hotspots for evolutionary rescue are not magic fortresses that will prevent climate change effects on wild animals. "Ultimately, the world must reduce carbon dioxide emissions or else the climate effects will overwhelm the ability of many species to adapt," co-author Eugenia Bragina said. "But by mapping these adaptive hotspots, we identify places where people could help foster evolutionary rescue in the short term by working to maintain large and connected wildlife populations."